Maralee McKee is a sought-after expert in social interactions at work, at home, and in the community. She has taught thousands of children in her Manners Mentor classes, and her corporate clients include Hyatt, Chick-fil-A, State Farm, Campus Crusade, and AT&T. Maralee and her husband live in Florida with their two sons. Corporate trainer and mentor Maralee McKee turns her attention to the home and shares the simple, savvy, and sincere skills kids need in order to flourish in today’s culture. Tools for each stage of life make this the go-to book for moms with children of any age. Very readable, very practical. My fear with this book was that I'd feel like I was being lectured by Ms. Perfect. Not the case. McKee is real and never makes me feel like she has everything figured out while I'm just floundering around and ruining my kids. This is a book I will continue to reference. Today our children are our shadow. Tomorrow they will be our reflection. I was nervous. I wanted this evening to be perfect for my husband, who was hosting a client-appreciation dinner for his company. He had worked hard planning every detail—especially choosing the guest speaker. After some negotiating, the man he hoped would accept his invitation agreed to present the keynote address. This gentleman is a financial genius. He holds three degrees—one each from Harvard, Yale, and Oxford. He consults privately with kings and presidents about global economic issues. All of this at the ripe old age of 34. He and I are about the same age, but I feared that was all we were going to have in common. A genius I’m not. My husband planned to go from table to table, chatting with guests through dinner. That meant our special guest and I would share a cozy table for two throughout the 90-minute dinner before he took the stage. Driving to dinner, I was still trying to think of conversation topics he might enjoy and I would have an inkling about. My concerns about us not having much common ground to talk were quickly realized—he was intense. Okeydokey! Believe it or not, that particular question had not made my short list of conversation topics. Hiding my panic, I quickly decided that in order to survive this meal, I was going to have to be the one asking the questions. I answered brightly, “I’m sure my husband will have more accurate insight than I do. I’ll call him over in a minute.” Then I asked our guest where he was from. He shared that he was born in Chicago and still lived there. I had recently visited for the first time and been smitten with the city. We began to find common ground talking about Chicago’s famed Miracle Mile. A few minutes later I asked about his family. He beamed as he told me that he and his wife were expecting their first child the next month—a girl. His genius was obvious in what he said next. It has been one of the most impacting maxims on the way I parent. My mind raced to make sense of it all. How can that be? Only 21 percent of my life will be spent sleeping under the same roof as each of my children? The cold reality of the number made my heart shiver—it still does. Twenty-one percent is all the time we have with our children, and that’s if you start counting when they are newborns. If they’re five or fifteen already, a measure of that time is gone. Is it enough time to teach them everything they need to know to thrive on their own when they’re grown? Yes it is, but they won’t learn it by accident. If we want our children to grow into adults who interact with kindness, respect, self-control, graciousness, and friendliness, we must teach them a lost art in today’s culture. It’s the art of being intentionally kind and patient in the words they say and the things they do every day, everywhere, with everybody. Quite simply, we much teach manners. Because you’re reading this page, I know you and I have some things in common. Moms like us deeply love our children and want to give them every skill they need to soar through life. We have high hopes for them—and not merely that they attend Ivy League schools, gain impressive-sounding job titles, win beauty pageants, or accumulate worldly wealth and fame. Those are all fine things. But what matters more to you and me is that our children grow up to be kind, compassionate, friendly, warmhearted, caring, self-disciplined, self-controlled, self-reliant, fair, generous, empathetic, and even-tempered adults. We wish them joy, so we want them to laugh daily and easily. We want them to go with the flow but not to be easily swayed. We want them to be optimistic but not to wear rose-colored glasses. We want them to understand that personal conflict is inevitable but making enemies is optional. We pray that they realize that apologizing for mistakes doesn’t mean you’re messed up. It means you have the strength of character to do the hard work of untangling messes. We want our children to have a strong sense of right and wrong and the moral strength to live up to their convictions. We want them to have goals and ambitions but not to let their goals become their gods. We pray that they will always be secure in who they are so they don’t become bullies or easy targets for bullies. We want them to please people but not to be people pleasers. And because mamas enjoy hearing good things about their children, if we notice ours displaying these traits, we won’t mind a bit if people compliment them and tell us that our children are sweet and engaging and impressive. Christ within them makes all these things possible. Etiquette is the vehicle they’ll use to express their character in word and deed. The apostle Paul’s famous passage about love in 1 Corinthians 13:4-5 lists nine attributes of love, and seven of them describe what love is not. That leaves only two positive descriptions of love: patience and kindness. Etiquette is the language that expresses patience and kindness in our interactions with one another. It teaches us to make modest sacrifices of our time, our agenda, and our momentary wants so we can live out patience and kindness. Etiquette is not pretense or fussiness. It’s not an attempt make children perfect. Manners are the language of love, and we teach them to our children for their benefit and for God’s glory. Scripture often calls us to kindness. As Paul says in Ephesians 4:32 (niv), “Be kind and compassionate to one another.” Etiquette shows you how to live this way. I sincerely do not want to add stress to any mother’s or child’s life. When etiquette is forced or stressed, it’s only on the outside. Love, on the other hand, is not forced. We don’t teach etiquette in order to mold children into something they are not. Some children are spontaneous, spirited, and quick to share their opinion. That’s fantastic! They will grow up to be quick-witted, fun, welcoming leaders. Some children are reserved, slow to join in, and quiet. That’s fantastic too! They will grow up to be thoughtful and always there for you—servant leaders of their generation. God gave our children their personalities. Etiquette gives them the skills to bring the best of their personalities to the forefront. Gone are the days when manners were about debutante balls, seated dinners for 12 with the butler serving, hats and gloves, and making sure the children were seen but not heard. The etiquette I share with you has evolved. It’s in tune with the realities and sensibilities of our modern, casual, techno-savvy, fast-paced culture. Grandma’s etiquette was perfect for her day. But if we use her etiquette exclusively, we’re going to appear stiff and stuffy and out of sync for the time and place Christ has placed us in. I’ve kept grandma’s timeless principles of courtesy, respect, hospitality, and consideration and used those principles to chart the course of our contemporary everyday encounters. Some people say we shouldn’t teach etiquette lest we train people to be artificial. Not so. Rather than forcing people to be artificial, etiquette frees them to become the best version of themselves. On the other hand, some people try to use etiquette to mold their children into perfect people. Perfection is Satan’s trap. God didn’t give us our children for our own glory but so that we could empower them to freely and gladly live for Christ and reflect His glory. Etiquette polishes us so that Christ’s reflection can be seen more easily in us. The skills you’ll learn about in these pages aren’t to be lived out legalistically. They are written in sand, not stone. You can use these principles to build and honor relationships inside and outside your family. This is an important concept. After all, the reason we were put here in the first place was to be in relationship with God and other people. Motherhood gives us an opportunity to be the people we want our children to become. That’s why I wrote this book—to help you teach your children and be a role model for them so their good manners spring from their hearts and are not just for show. For manners to be more than window dressing in our lives, they must be expressed in the words we say and the things we do—and not just when we find it convenient or are in an especially good mood. Our good manners become true when they are ingrained into us, just as we can learn a new language and use it until it is as natural as our native tongue. In the pages of this book you’ll find the modern, essential skills you need to know and model to help your children soar through life free from social uneasiness so they can become well liked, well mannered, and well respected. None of it is hard to learn. All of it pays a lifetime of dividends. I’m so glad we’re going on this journey together! I’ve prayed and worked hard on this book for the benefit of you and your family. My prayer has been that it will encourage, inspire, and mentor you. People often ask me how I became the Manners Mentor. It’s a pretty amazing story. I can still barely believe I am where I am today. When I was nine years old, I was in a situation no little girl should experience. At that time, I started praying for three specific things. Over the next 20 years, God answered my three prayers, slowly unfurling His plans and purposes for me in ways that even the most imaginative novelist could never conceive. I’ll briefly share my story with you (friends should know about friends!) so you’ll understand my passion for these skills and why I’m honored to bring you the message God has entrusted to me—that manners matter to Him. In the teaching part of the book, I’ll start by showing you how to teach etiquette without stressing or ever having to nag. We moms already have a lot on our plates. We don’t need to pile more “must do’s” on them. My way of teaching is gentle, subtle, and lifestyle-oriented. You won’t find your children pushing back. But you will see children who are more patient, kinder, and more likely to consider how their words and feelings impact the people around them. You’ll also find relevant, modern, indispensable tips on everything from table manners to texting. You’ll learn how to make positive first impressions, interact with ease, and give and receive gifts graciously. You’ll also learn about using Wonder Words, beginning and ending conversations on a high note, dining skills, table manners, and so much more. All of it is in sync with today’s sensibilities and from the heart. 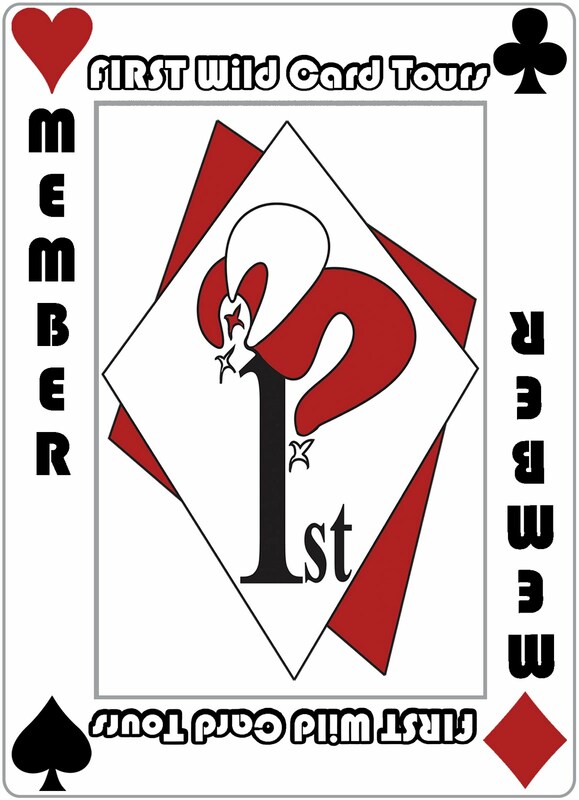 Chapters 4 through 17 start with just-for-fun etiquette IQ tests. “Mom to Mom” tips start in chapter 5. These are special things that are on my heart to share with you. They’re adult-level skills that will help you shine or special tips for teaching a particular skill set and touching the heart of your child. Chapters 4 through 17 also include has multiple sections titled “Growing in Graciousness (Next-Level Skills).” These next-level skills allow you to pick and choose what you want to add into the mix. You can introduce a particular skill whenever your children will benefit the most given their age and stage, natural bent (introvert or extrovert), personality, level of maturity, confidence, and degree of manual dexterity. You might look at all these skills and say, “Wow, Maralee! That looks like a whole bunch. How can I teach all of that?” Let me assure you, you can! It’s my joy to show you how. 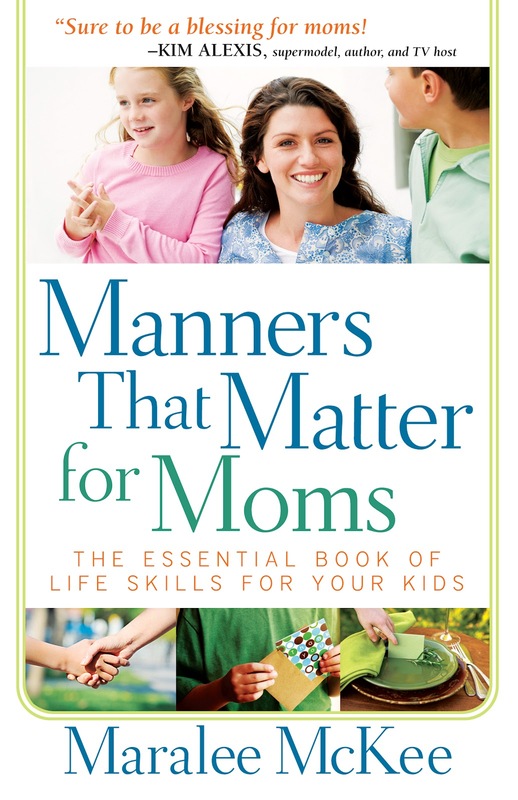 The skills you’ll find here are the ones I’ve taught successfully in hundreds of my Manners Mentor classes. And of course, I use them at home with my own two sons, Marc and Corbett. These skills are classroom tested, and they work in the real world. Just don’t rush the process. You will teach and model for months or even years before some skills become parts of your child’s life. That’s normal. We’re in it for the long haul, aren’t we? I often think of the evening several years ago when I dined with the financial genius. Now that my two sons are nine and fifteen, his words resonate deeper than they did when he first showed me that children change everything “but only for a little while.” We have 21 percent of our lives or less to daily impact theirs—just 21 percent to pass along to them everything they need to know to soar through life on their own. The number one predictor of our children’s future success and happiness is their ability to get along well with others, to be well-liked, and to be confident and at ease in their interactions. You’re holding in your hands the how-to’s of instilling these character traits in your children. Today our children are our shadow. Tomorrow they’ll be our reflection. Let’s embark on this journey together.